Students will be able to obtain work permits for training and work purposes in the private sector, according to a new decree announced by the Ministry of Human Resources and Emiratisation on Wednesday. The new decree allows students aged between 12 and 18 years to obtain a work for training purposes, while 15- to 18-year-old can apply for permits to work in the private sector. 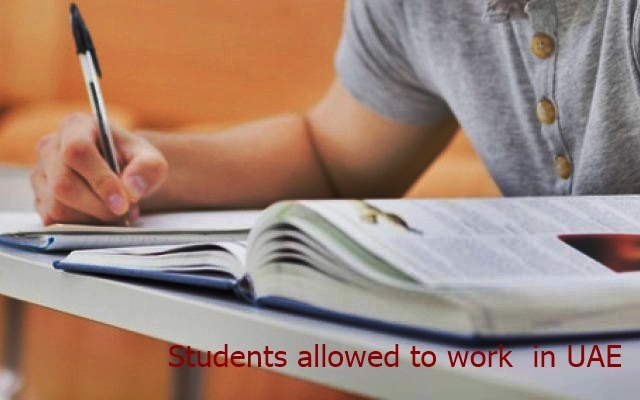 All students under the age of 18 require a written consent from a guardian to apply for work permits. The decree will grant all students the same benefits and advantages as those in regular employment in the same position. It also orders companies to comply with all procedures and qualities of the permitted work during the training periods or jobs. There are three types of permit available for students: a temporary work permit, a part-time work permit and a juvenile work permit and the fee for each of them is Dh500. A temporary work permit allows companies to hire national or expatriate students, registered or non-registered in the ministry’s database, to work on projects with completion periods not exceeding six months. A part-time work permit allows companies to hire national or expatriate students to work for fewer hours in a job than their counterparts, for a period not exceeding one year. Saqr Ghobash Saeed Ghobash, Minister of Human Resources and Emiratisation, said, “The decree comes in the framework of carrying out tasks assigned to the ministry in terms of labour market management in accordance with the vision of the future government to develop human resource and invest their capabilities so as to enhance productivity and participation in the labour market. “The decree complements previous ones that had been issued back in 2011, with regards to issuing temporary work permits for juveniles so that students follow such categories that may be enrolled in private sector enterprises under those permits,” he added. However, students cannot be employed in 31 registered sectors. The decree also mandates companies to not make the students work for more than six hours a day and to grant them one or more hours of resting breaks to eat or pray. Companies cannot make the students work for more than four consecutive hours a day. These permits can be requested from Tas’heel service centres or through the ministry’s smartphone applications.